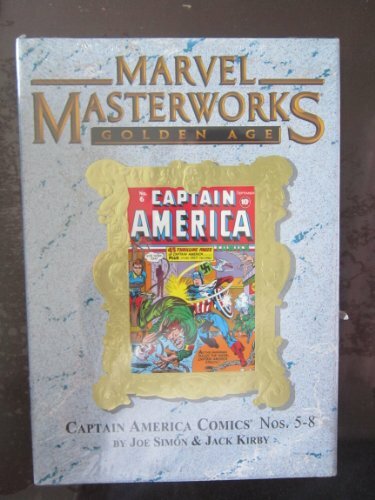 Captain America Marvel Masterworks Golden Age! 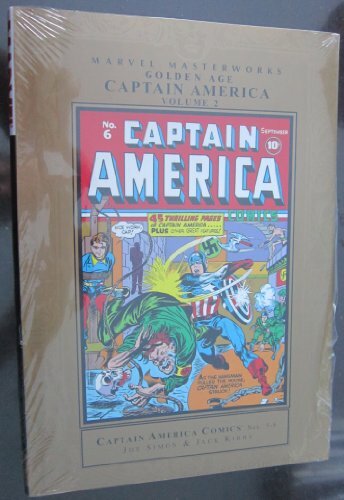 Collects Captain America Comics #5-8.From the heart of comics' Golden Age come the earliest adventures of the greatest patriot to grace the four-color page: Captain America! 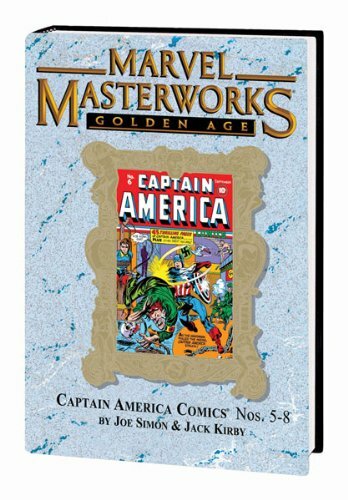 Created on the eve of America's entry into World War II, these stories are full of jaw-busting battles against the Nazi menace, mad scientists, crazed carnivals and mysteries at the ballpark that could only come from Joe Simon and Jack Kirby - two of the medium's greatest visionaries! 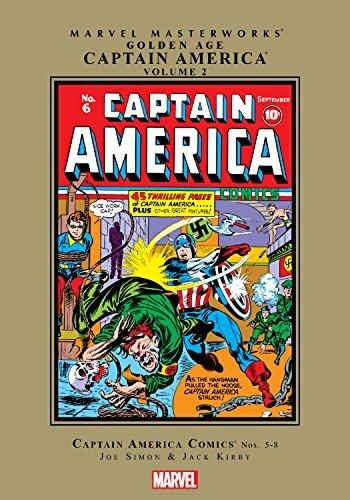 But there's more to enjoy than just the adventures of Cap and Bucky; you'll also meet Stan Lee's wartime correspondent, "Headline" Hunter; the mighty Hurricane; Father Time; and Tuk, Cave Boy! 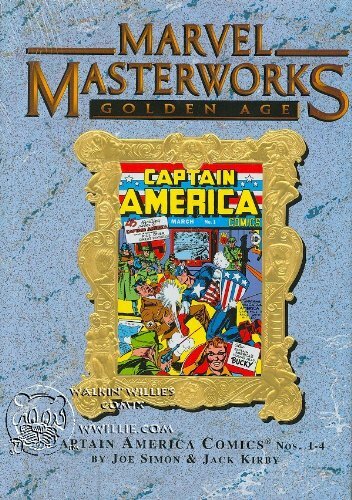 "GOLDEN AGE CAPTAIN AMERICA!" 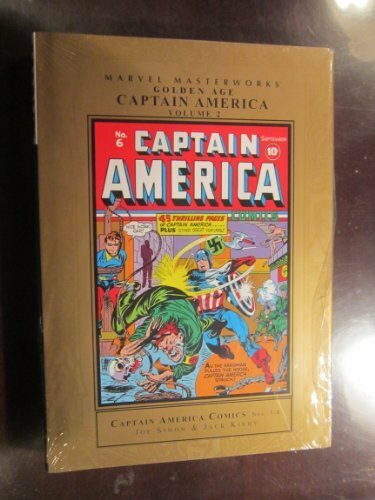 Collects Captain America Comics (1941-1954 Golden Age) #5-8. Written by JOE SIMON , JACK KIRBY, and STAN LEE. Art by JOE SIMON, JACK KIRBY, CHARLES NICHOLAS, AL AVISON and AL GABRIELE. Cover by JOE SIMON and JACK KIRBY. Published in July of 2008, Hardcover, 280 pages, full color. Cover price $59.99. If you want additional books, I ship as many books as you want for a low flat fee. HC, in cello, New, Written by JOE SIMON , JACK KIRBY, and STAN LEE. Art by JOE SIMON, JACK KIRBY, CHARLES NICHOLAS, AL AVISON and AL GABRIELE. Cover by JOE SIMON and JACK KIRBY. Published in July of 2008. Hardcover, 280 pages, full color. Cover price $59.99.